Asphalt is a manmade paving material created from aggregates and a binder. Unfortunately, UV light, bad weather, and even plant growth can damage the material over time, leaving it cracked, discolored, and brittle. However, asphalt sealcoating can protect paved surfaces, leaving them strong and resilient. Here is a little more information about asphalt sealcoating and why your paving contractor might recommend it. 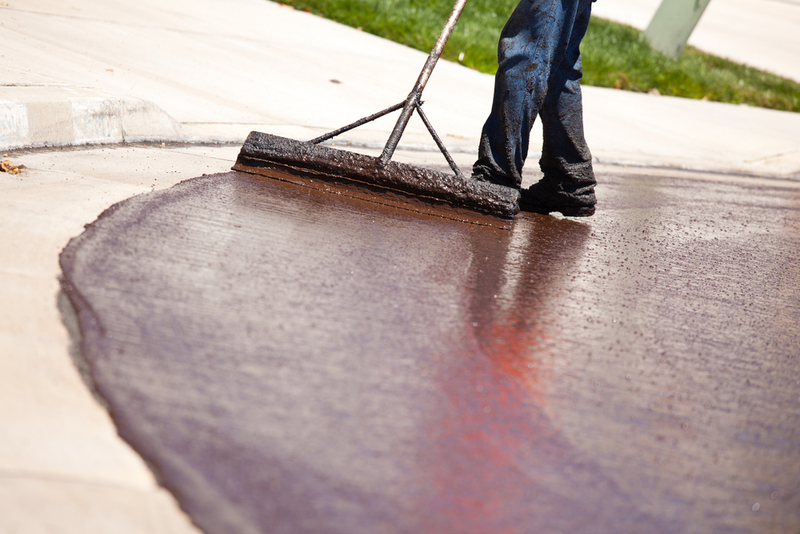 Asphalt sealcoating is a thick liquid containing bitumen and asphalt cement. When this substance is spread over existing asphalt surfaces, it fills in tiny cracks, cures, and hardens, creating a barrier between the road and the elements. Sealcoating also contains water to make it easier to spread, silica sand to strengthen the surface, and polymer additives to make the coating slightly flexible and less likely to crack. What Benefits Does Sealcoating Offer? Paving contractors recommend sealcoating not only to refresh the look of your asphalt but also to protect your parking lot or driveway from damage. In addition to making the ground moisture resistant, asphalt sealcoating also makes it more difficult for gas and oil to seep into the ground, preventing environmental hazards. Sealcoating also prevents long-term repair costs since it prevents UV damage, cracking, and issues like potholes. In fact, sealcoated asphalt surfaces tend to extend the life span of asphalt altogether, which can lower your long-term expenses. Because of the inherent benefits of asphalt sealcoating, professional paving contractors recommend having your driveway or parking lot sealcoated at least once every two to three years. If your driveway or parking lot has seen better days, turn to the paving contractors at Musson Brothers in Rhinelander, WI for help. For over 73 years, they have helped residential and commercial clients with everything from asphalt paving and excavating to trucking, lot clearing, and gravel delivery. Learn more about their business by exploring their website, or give them a call at (715) 365-8700.